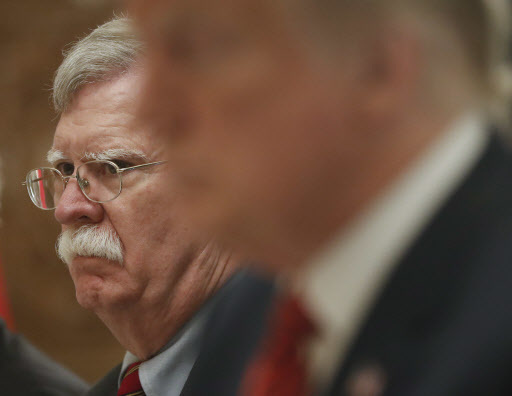 US President Donald Trump plans to hold a second summit with North Korean leader Kim Jong-un because the North has failed to follow through on its promise to denuclearize, US national security adviser John Bolton said Tuesday (US time), amid North Korea’s continued silence. His remarks came after Trump reaffirmed his wish to hold a summit with North Korean leader Kim in January or February. Trump said he could grant Kim his wishes if he delivers on denuclearization, according to South Korean President Moon Jae-in. North Korea committed to work toward “complete denuclearization of the Korean Peninsula” at the Singapore summit with the US in June. The North dismantled a major nuclear test site in Punggye-ri in the presence of international journalists, but there has been no verification on whether the site is no longer viable. Last month, Vice President Mike Pence told NBC News that the US would not require North Korea to provide a full list of its nuclear and missile sites before Trump meets again with Kim, which was seen as lowering the bar to facilitate talks with the North. Moon has also hinted at his wish to host Kim in Seoul for a summit within the year -- a pledge the leaders made at the Pyongyang summit in September -- to boost the momentum for dialogue on the Korean Peninsula, though he said the decision is up to the North Korean leader. North Korea, however, remains mum. It has yet to respond to Washington’s offers for a high-level meeting aimed at paving the way for the second summit, or South Korea’s invitation for Kim’s visit to Seoul. Kim promised to dismantle its major Yongbyon nuclear compound if the US takes “corresponding measures,” which appear to include an end-of-war declaration and sanctions relief, at his summit with Moon in Pyongyang in September. Washington, however, has publicly maintained that sanctions will remain in place until the North completely denuclearizes. Amid little signs of any reward from Washington before the North takes more substantial measures to denuclearize, Kim is now pondering his next step, analysts say. But there are signs of behind-the-scenes contact between the US and North Korea. On Monday, Andrew Kim, head of the CIA’s Korea Mission Center, reportedly met with Kim Song-hye, an official in charge of the North’s inter-Korean affairs, at the inter-Korean border village of Panmunjom, where they might have discussed a plan for a delayed high-level meeting. The planned meeting between US Secretary of State Mike Pompeo and his North Korean counterpart Kim Yong-chol was postponed at the North’s request last month. Meanwhile, Pompeo said Tuesday that the international sanctions campaign against North Korea is an example of US leadership in the world. Speaking in Brussels, the top US diplomat rejected criticism that the Trump administration is undermining the world order by withdrawing from international organizations and pacts, including the nuclear deal with Iran. “Under President Trump, we are not abandoning international leadership or our friends in the international system,” Pompeo said in a speech at the German Marshall Fund.